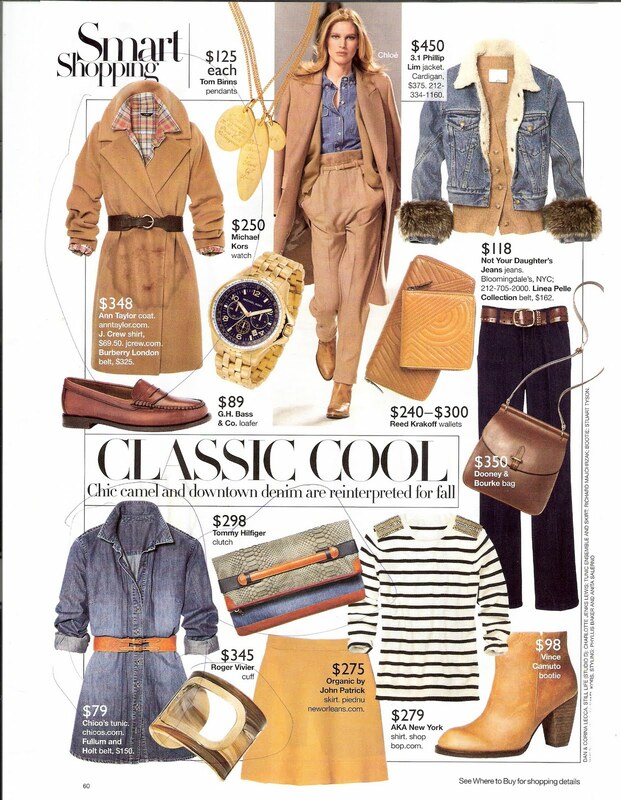 Marie Claire arrived this week with the new fall fashions. I love this Chanel dress - a bit hard to see, but the trim is wonderful. (Also like the chair and cushion) And of course, the camel coat that I have been longing for two years is back. 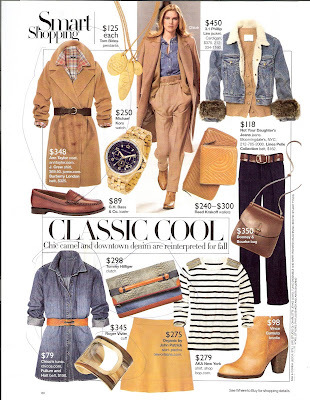 Love the little clutch and the denim shirt. And just one more for summer - chiffony look would be so easy to make if I could find the right fabric. love the sweater dress of course and love that camel coat you circled, I wonder if it will look as good at Ann Taylor as it does here and I like it belted like that. The jeans tunic is cute too and I think that Dooney &Bourke bag is super stylish too, sigh!